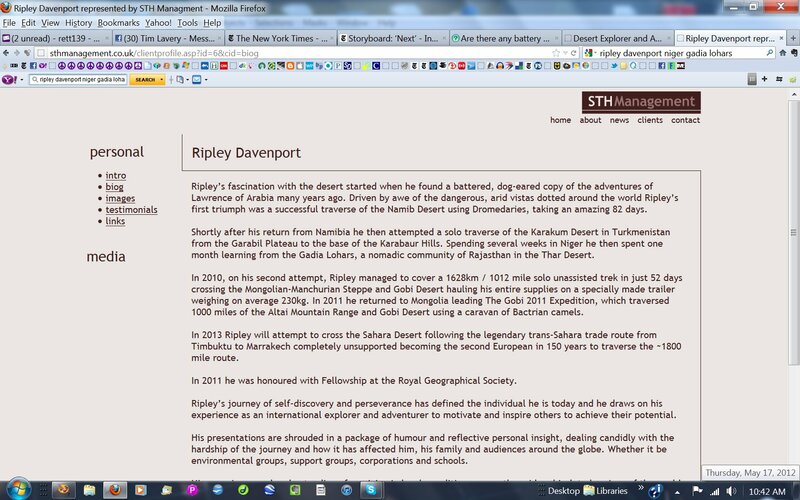 As previous pages indicate, Ripley Davenport, with the help of his wife Laura, have created a fraudulent and imaginary "history" of Ripley as an explorer. These imaginary or vastly embellished events are what provide materials for his paid speaking events. The Speakers Agency, owned by Sylvia Tidy-Harris, represents Ripley Davenport. Ms Tidy-Harris has been clearly informed of detailed information that supports the conclusion that Davenport is a fraud. She has been urged, as business ethics would seem to require, to insure that when she promotes Davenport to a client seeking a speaker, that she is completely candid about his history. Ms. Tidy-Harris has consistently ignored the overwhelming information pointing to Davenport's deceit and continues to represent him on her business page. It is not known whether he has actually been booked by Ms. Tidy-Harris for any speaking in recent years. Ms Tidy-Harris took Ripley on as a speaker around March, 2012. 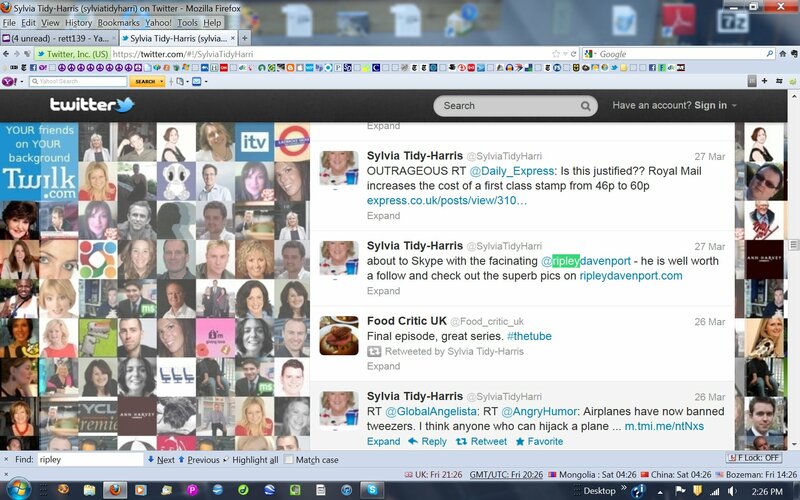 Here's Ripley Davenport's bio as it appeared in May, 2012 on Sylvia Tidy-Harris' speakers promotional page. Page 1. Page 2. 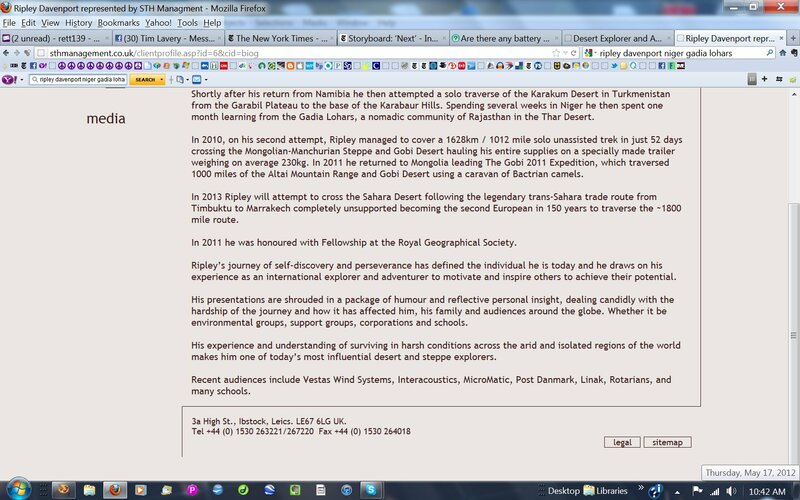 Here's his current biography where all mention of the previous expeditions to Namibia, Turkmenistan have been deleted. In fact, Ms. Tidy-Harris has so entirely swallowed Mr. Davenport's story, including his bogus claims of being cyberstalked, that she submitted an affidavit to both Bozeman Police and the Federal Bureau of Investigation in Washington, DC in support of the cyberstaling allegation. Those allegations have been thoroughly examined by both local police and the FBI and found to be without merit and unsupported by the facts. So, if you decide to book Ripley Davenport as a speaker you may be entertained, but you are not likely to learn anything factually true.